We’re extremely proud to announce that CJUK Recruiters Laura and Susannah have been recognised at the Recruitment and Employment Confederation’s annual Institute of Recruitment Professionals Awards at the Park Plaza Westminster Bridge Hotel in London on Wednesday 7thDecember. Laura presented with her award by host Dermot Murnaghan and Simon Noakes, REC Chair. 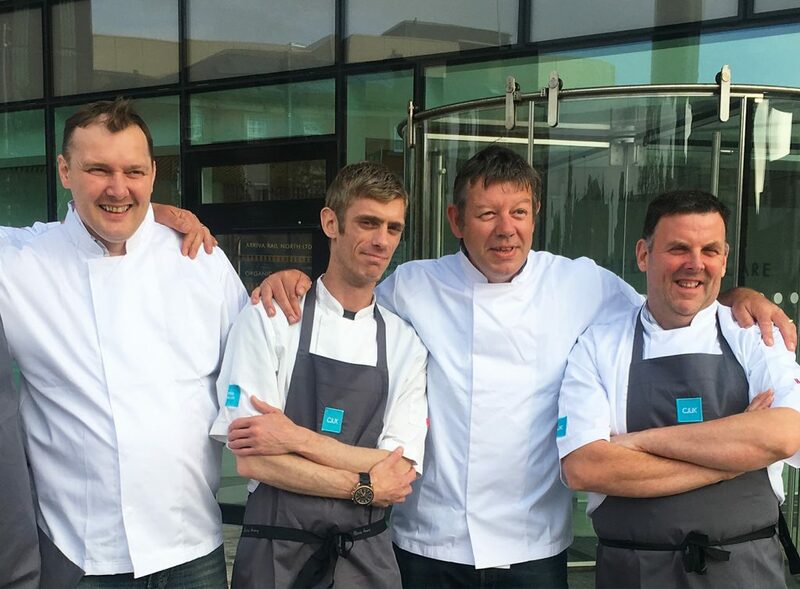 CJUK were the winners of not just one, but two awards! 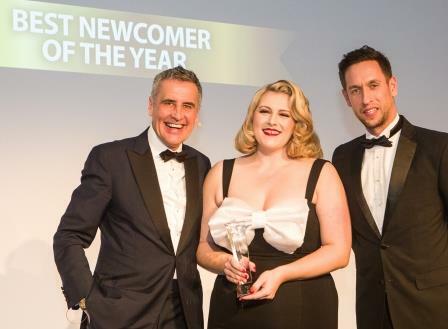 Account Manager, Laura Garratt, picked up the first award of the night for ‘Best Newcomer’, coming out on top against eight finalists, all of whom had entered the recruitment industry within the last 18 months. 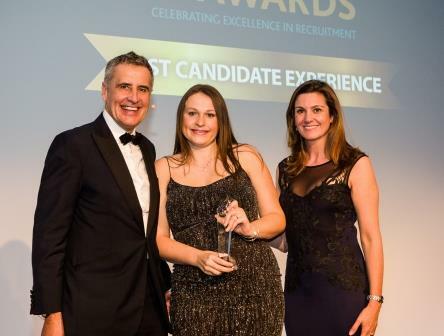 CJUK Talent Manager, Susannah Lawson, secured the award for ‘Best Candidate Experience’ fighting off tough competition from seven shortlisted Recruiters to take home the prize. 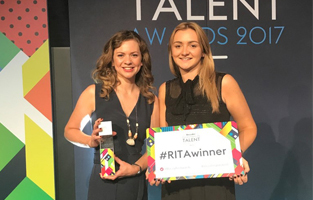 Both Laura and Susannah were both highly commended for the contribution they had made to the industry, with judges describing Laura as ‘being someone who clearly loves her job and goes above and beyond, providing added value wherever possible’. 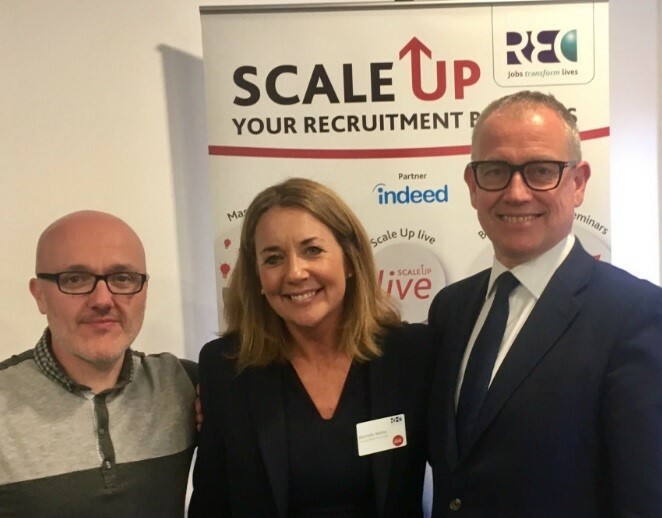 Susannah presented with her award by host Dermot Murnaghan and Global Head of Talent Acquisition at SABMiller, Jennifer Candee. service, taking a personal interest in her candidate’s needs’. 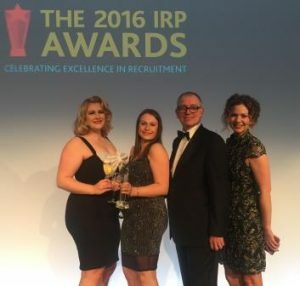 The eighth annual Institute of Recruitment Professionals Awards was hosted by Sky News Anchor, Dermot Murnaghan and saw over 500 industry professionals from across the UK come together to celebrate excellence in recruitment. 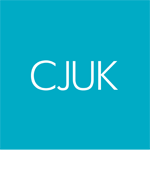 CJUK Launch Permanent Recruitment Division!